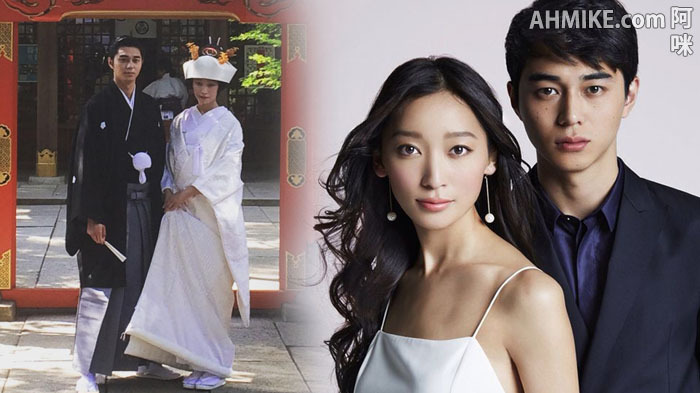 The 29 years old Japanese actress Anne Watanabe(渡边杏) fell in love with 27 years old actor Masahiro Higashide(東出昌大) after working together on the drama series "Gochisōsan(ごちそうさん)". The two registered their marriage on New Year's day 2015. In October the same year, they held their wedding at Tokyo's Atago Shrine. According to sources, the two will become parents this summer! Japanese media already confirmed the rumor with Anne's agency and it is said she's expecting twins. Last month, Anne was seen with a small baby bump while shopping for maternity clothes. Anne's international film star father Ken Watanabe(渡辺謙) also responded to her daughter's pregnancy news on twitter. He indicated he's happy and surprised at the same time about his daughter expecting twins.